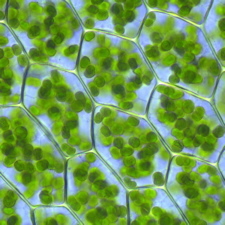 Chlorophyll and bad breath seem like they might not have anything in common, but there is more here then meets the eye. Morning breath, bad breath, breath odor or halitosis are all expressions used to describe a distinctly repulsive smell exhaled on the breath. We are all aware of how the use of certain foods such as garlic and onions can have an effect on our breath. However, most breath odor comes from food particles trapped in our mouths. Improper cleaning of dentures, poor oral health, periodontal disease, as well as smoking and tobacco products are all other causes of bad breath. Anybody who experiences a persistent case of halitosis might well doubt that chlorophyll and bad breath could be mentioned in the same sentence. Perhaps because chlorophyll has been used in commercial breath products, it is one of the best-known herbal bad breath treatments. Other traditional bad breath herbal remedies include chewing mint, parsley or dill leaves, sucking or chewing a clove, chewing dill, fennel, cardamom or anise seeds, drinking tea made with coriander, sage or dill, and rinsing with lemon juice. Simple experimentation is originally how the chlorophyll and bad breath connection was made. Chlorophyll is the stuff responsible for the green color in plants, and it has been used traditionally to improve bad breath, as well as to decrease the smell of urine, feces and infected wounds. In the past it was also used for gastrointestinal troubles such as constipation, and to encourage blood cell formation in anemia. Algae, spirulina, chlorella, wheat and barley grass, and dark green leafy vegetables are all good dietary sources of chlorophyll. Capsules, tablets, powders and drinks are also available, and you’ll need to take a supplement of about 100 mg three times daily to fight bad breath. Parsley is not just eye-candy on your plate when you eat out. It has a very high level of chlorophyll, and it freshens your breath in an instant. It can be used dipped in white vinegar or alone – just chew it slowly and feel your breath becoming fresh. Alfalfa also has a lot of chlorophyll in it. You can make a mouthwash by adding two teaspoons of the dried leaves to boiling water, and steeping for 10-20 minutes. Control sulfur buildup: regularly use a toothpaste or mouthwashcontaining zinc compounds or stabilized chlorine dioxide to help overcome odor-causing sulfur chemicals. Keep an eye on hygiene: brush and floss frequently to keep your teeth free of food fragments that can cause halitosis. Scrub the tongue: brush your tongue or use a tongue scraper often to get rid of odor-causing instruments and keep microorganisms in check. Get a dental checkup: go to your dentist to find out if problems with oral health are contributing to your halitosis. 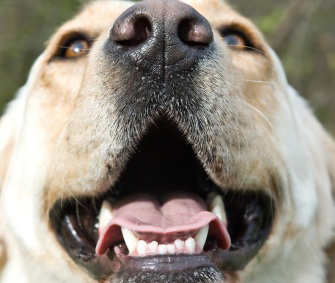 Take a look at some of the companies doing specific research into the biological causes of bad breath. One such company is Therabreath – led by a dentist with a degree in Biology. Companies like these produce products that do much more then just temporarily mask bad breath – they eliminate it for good at a molecular level.